The lovely folks from Gousto asked if we wanted to try out a Gousto Recipe box, and we thought it would be fun to give it a try. 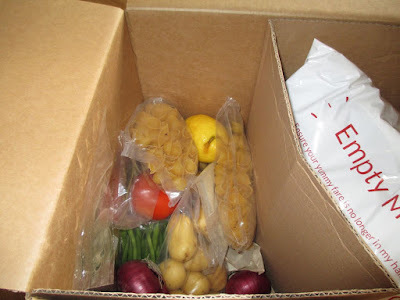 The idea is that you go on the website and pick one or two recipes from their selection and the numbers of people you want it for (2 or 4) and they send you all the ingredients, including the meat, in a cold box via courier. Exciting stuff! There recipes change every week, but for ours we went with ‘Greek Lamb Pasta with Feta and Dill’ and ‘Lemon and Chive Crusted Salmon’. When the box arrived we were all very impressed, it was still very cold, it had been packed with ice packs and wrapped in excellent insulting material, and split into sections, chilled and non-chilled. All the items were fresh and measured into portions and we couldn't wait to get started. There was enough ‘sell-by’ for us to have the meals over the following three days, but we had them the first two consecutive evenings. The instructions were easy to follow, we started off by chopping the herbs and veggies in preparation. The onions were their usual painful selves, but I was pleased that the olives had been pre-pitted. 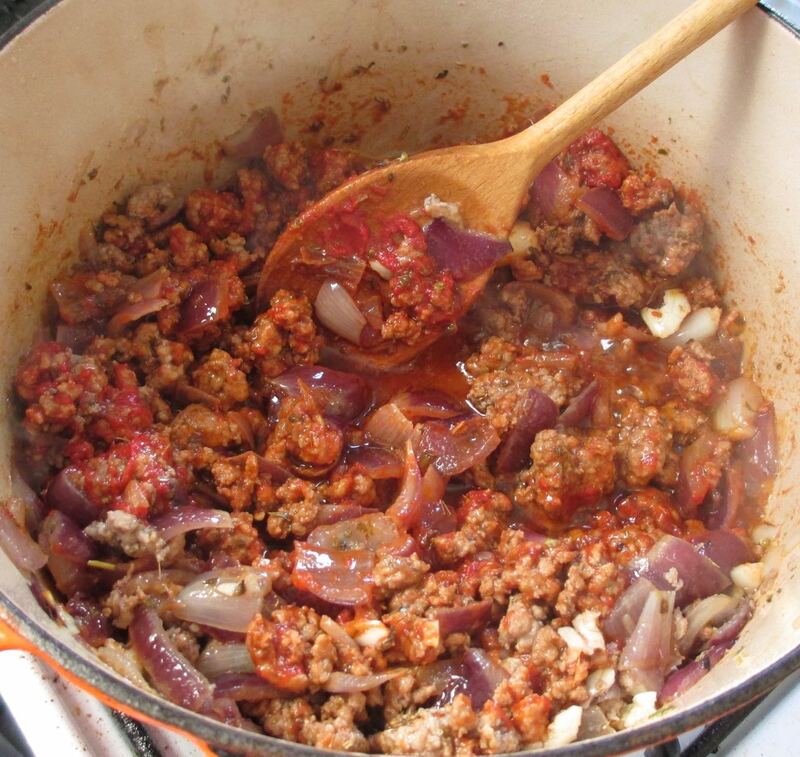 We fried off the onions then added the lamb, tomato paste, oregano and garlic and got that browned. Meanwhile the pasta went into boiling water to get that started. Next we added the chopped tomatoes, olives, bay leaves and ketchup (never underestimate the addition of some ketchup in your pasta dish). We added a little water from the pasta pot to get the Ragu to the correct consistency and gave it a good stir. The bay leaves were found and fished out too! The dill got added next and the crumbled feta cheese topping. The dish was fantastic, I loved the rich herby tomato flavour. 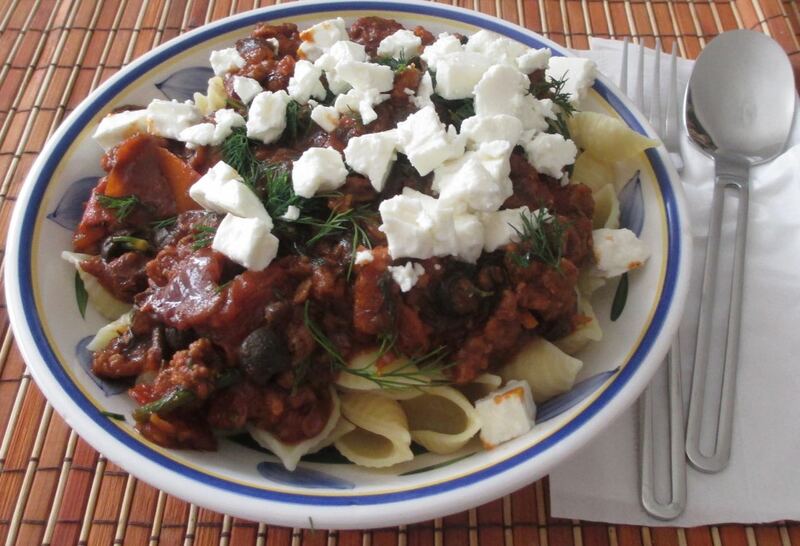 I am a fan of pasta, but not usually with lamb. It was an easy to prepare recipe with results that meant every bowl was cleared. Next up we went for a fish dish. Again we started by prepping the veg, this time chopping the potatoes and trimming the green beans. The first thing we did was heat a shallow pan very hot and put the salmon in skin side down to cook the skin. It sizzled pleasingly in the pan. In a bowl we mixed the breadcrumbs, half the chives and lemon zest. We also added olive oil which I think was the only ingredient we took from the cupboard that hadn’t been included in the box. We placed the salmon on a baking tray and topped it with Dijon mustard, not ingredients I’d normally combine but thats the point. On top of the mustard we added the breadcrumb mix and then baked the salmon. The potatoes were simply boiled and dressed with the rest of the chives. The beans were cooked in a way I'd never done before. They were essentially cooked in the shallow pan with a splash of water and capers. Not sure I have ever had capers on their own before, just in tartar sauce. They were served with mayonnaise mixed with olive oil and lemon juice. The dish looked stunning when served, I loved the arty drizzle of lemon mayo on the beans. 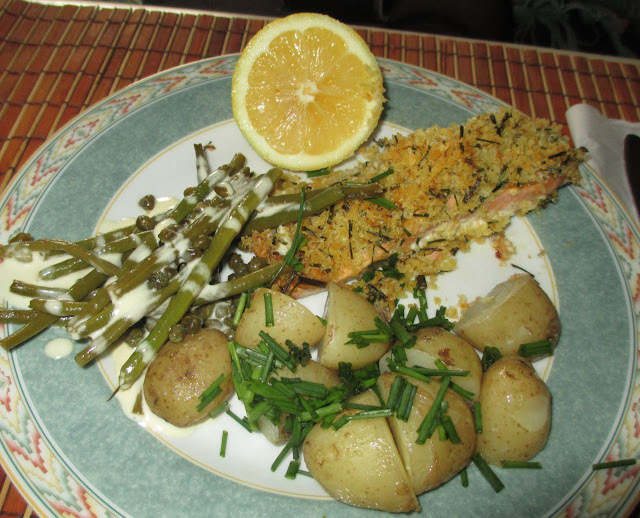 The mix of texture on the salmon were spot on, the crumble added such a nice mix crunch and the mustard was fab. 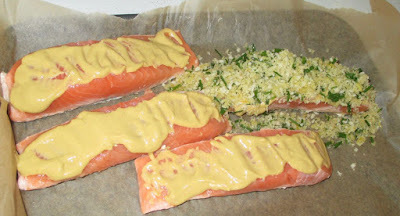 I would never have combined mustard with salmon, but the mild Dijon worked very well with it. It was such a good meal. I really enjoyed using flavour combinations I’d not tried before, lamb and pasta, and who would have thought salmon and mustard would work so well. Both meals resulted in completely cleared plates and were thoroughly enjoyed dishes. 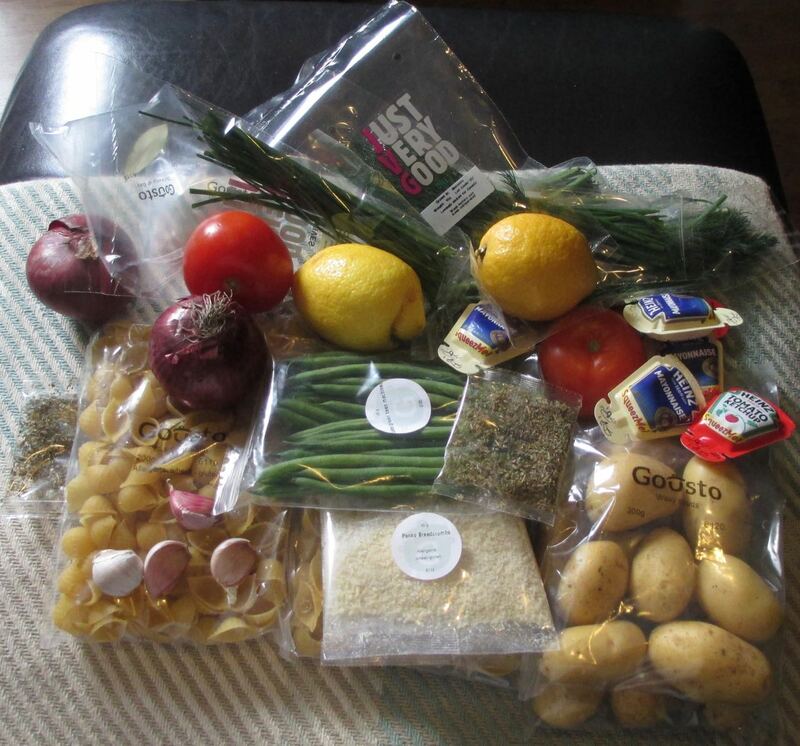 I like that the Gousto boxes add a bit of adventure to cooking but in a safe way. 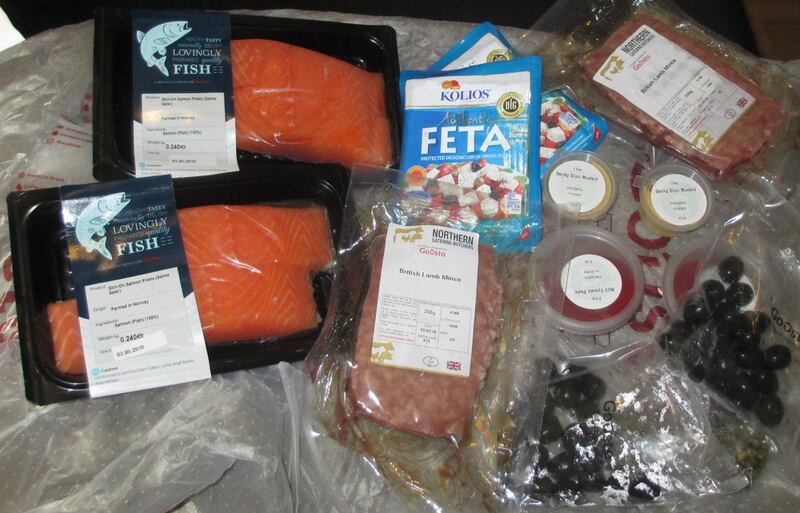 The recipes are easy to follow and in terms of convenience you cant beat having the ingredients measured and delivered to the door.